I made this out of Walnut scraps from a Sam Maloof chair that I’m in the process of doing (slowly). I learned a lot on this box! 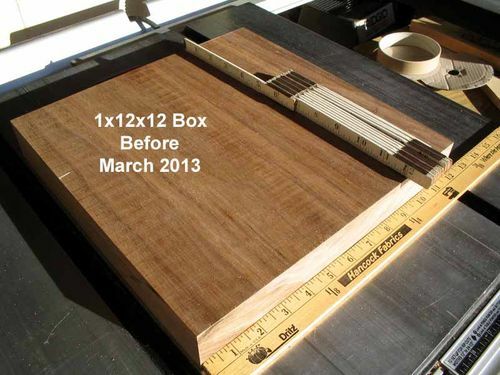 My first resaw of a 12×12 piece… To me, BAD IDEA! 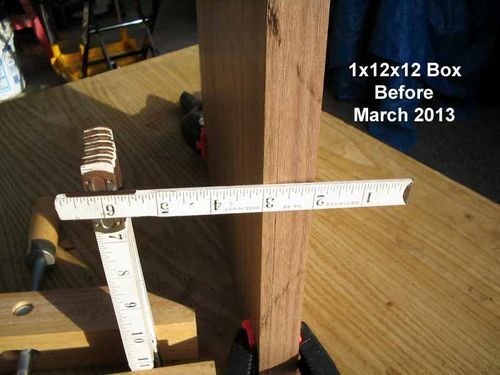 This was my first experience using a Woodslicer bandsaw blade… Sure is nice… a MUCH SMOOTHER CUT! 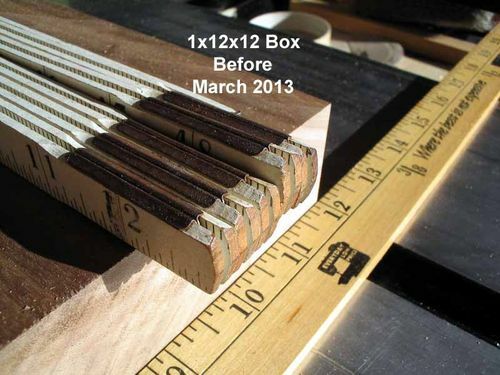 I would have been better off slicing them into smaller pieces like 6” and resawed and gluing back together! ... BUT, they’re same desired sizes on the outside! 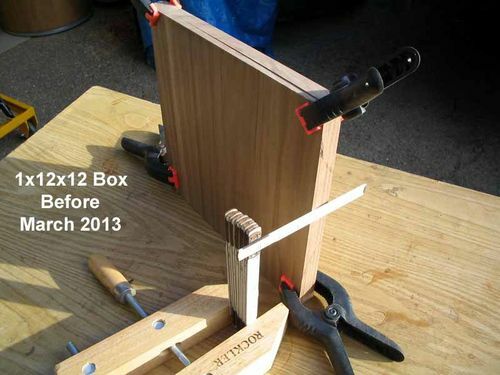 Construction was straight forward… made the whole box then cut the top off on the band saw. I love it and it’s being put to good use! 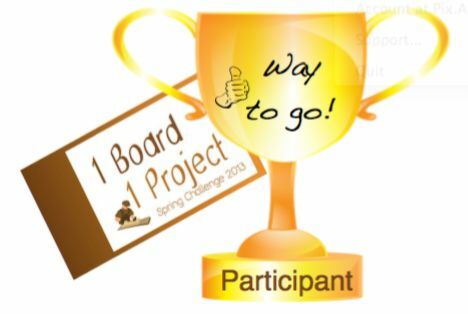 Well done Joe! Good luck with your entry. That Wood Slicer from Highland Woodworking is really a super band saw blade! I was amazed how fast it cut… like going through Hot Butter… and the smoothness of the cut WAS REALLY SMOOTH… not full of ridges requiring that have to be planed or sanded… resulting having more wood to work with! The best blade I have used for resawing. Great work, I like the look of it! It was 57 degrees here in Chicago… soon I can get out in the shop too! Good job on this one Joe. I can’t believe you got a box this big out of that 1 board and still had all that left! 57 degrees! That’s really COOL (temp)... Glad you will be able to get back at it soon! I had to cut all sides & front/back out of the same spots of the four pieces to keep the grain running good. That forced me into gluing pieces onto top & bottom to get final part size. See how it can happen now? It’s really not all that bad / hard. Yep, Your resawing expertise accounts for the lack of waste. I’d have had a barrel of planer shavings where you had left over wood! Due to my sloppy resawing, I had to hand plane (chose to, for fun) some pieces to get them reasonably uniform without huge variances in thicknesses… Good cuts only required sanding to get surface good. We dont get the Wood Slicer this side, what does it look like? You don’t make a lot these days Joe but when you do you really do surprise me with your expertise, that a very smart box Joe. I await a full photo-shoot.